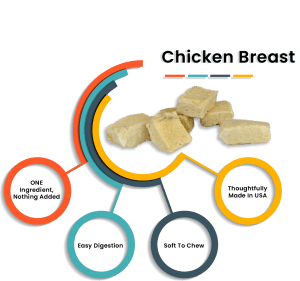 Our recipe for freeze dried chicken dog treats is very simple: single ingredient chicken breast. 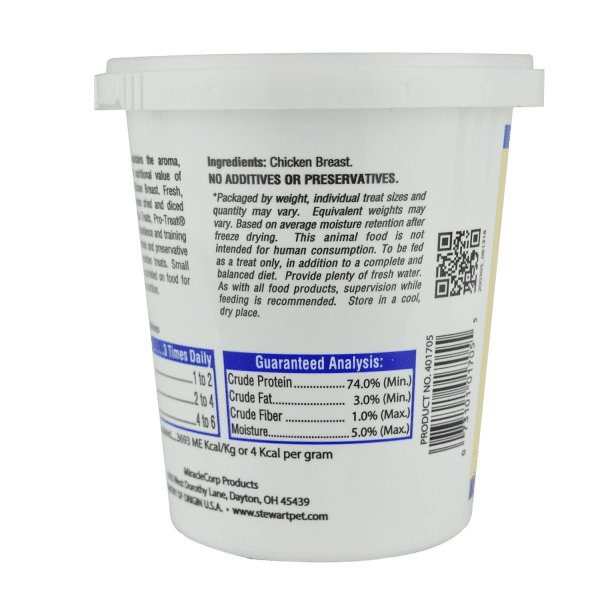 We source our human-grade, USDA-certified chicken from US sources. Then we gently process it in small batches in our Midwestern plant. You can rest assured you are feeding the safest dog treat when you choose all-natural Pro-Treat. Unleash the nutrition and joy! 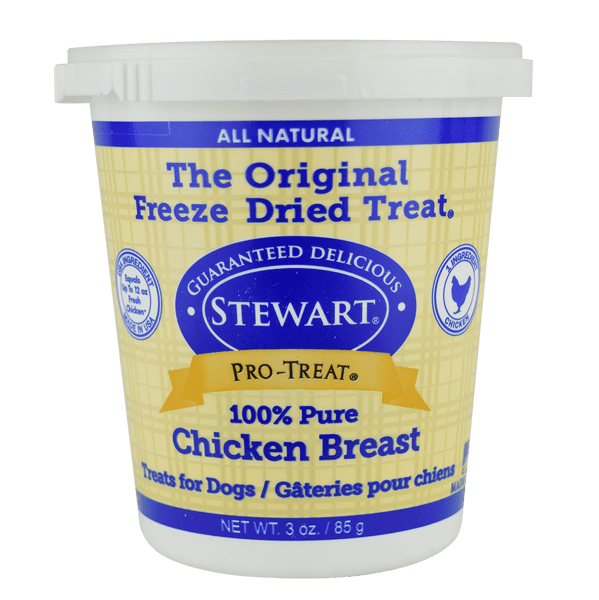 What will you find in Pro-Treat freeze dried chicken dog treats? Just one thing: chicken breast. What will your dog find in these treats? Excitement in every bite. 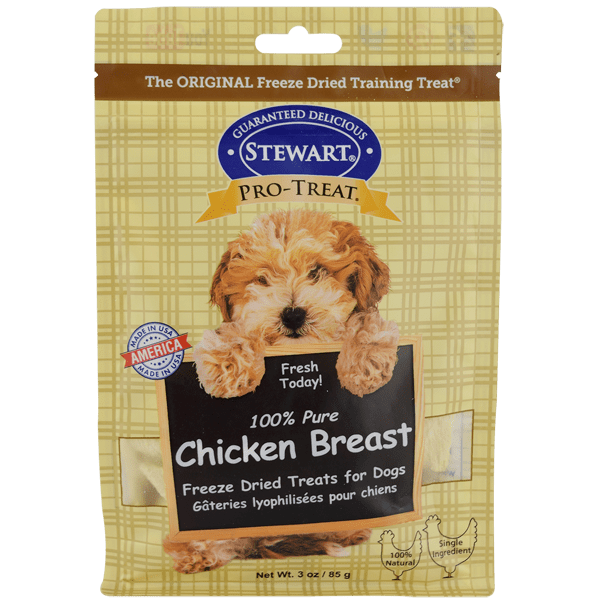 Besides great taste, Pro-Treat freeze dried chicken dog treats offer lean, low-fat protein that supports healthy body weight. Calcium, iron, vitamin B6: It’s all there in chicken breast. Over the last 45 years, we’ve worked to perfect our liver treats to bring the highest quality to your best friend. 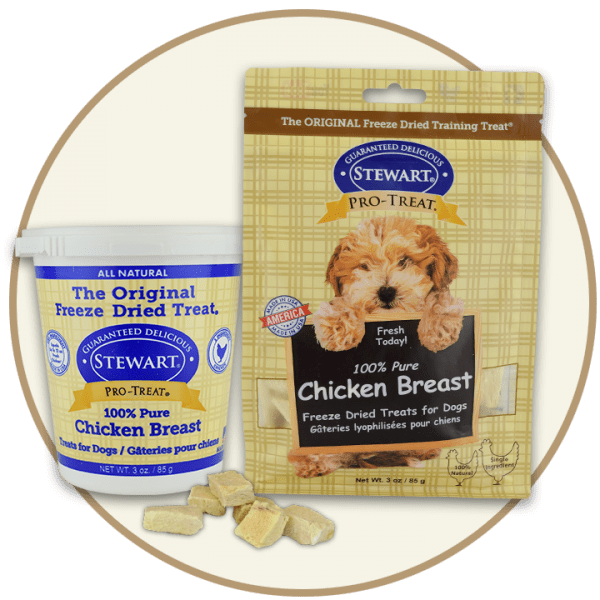 Convenient freeze dried chicken dog treats are shelf stable and perfect for traveling. 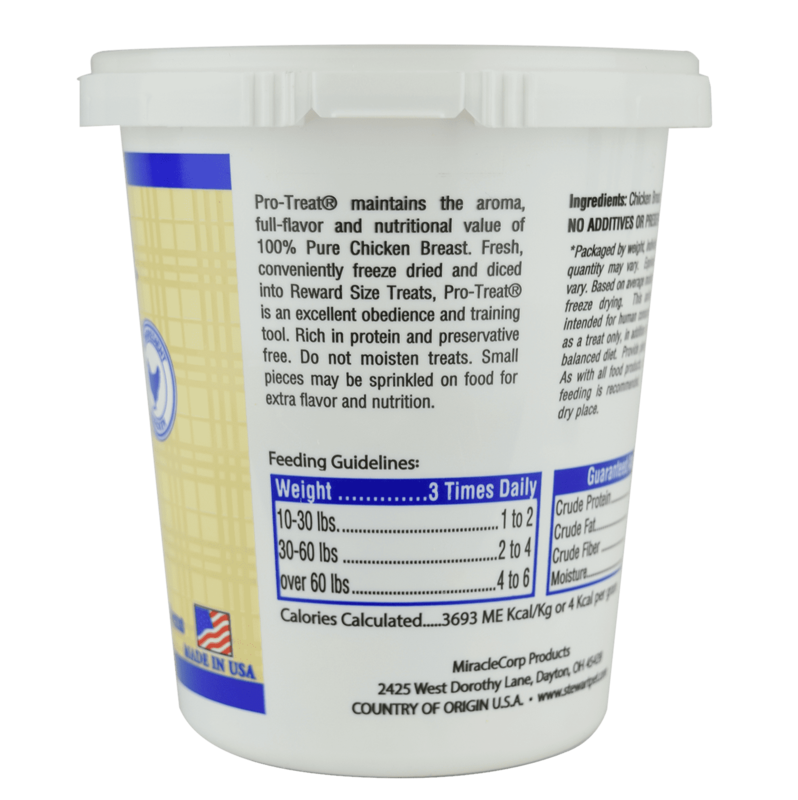 Freeze dried in our Midwestern facility to lock in vital nutrients. 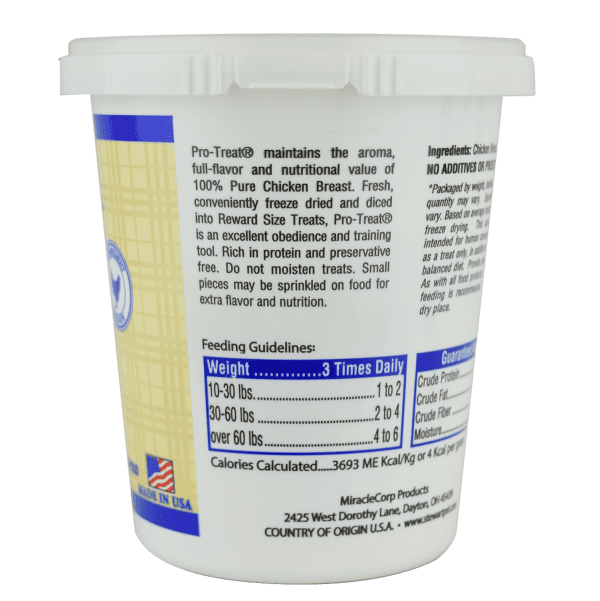 Crazy delicious taste that maintains dogs’ interest long term. Preferred choice of dog trainers, breeders and groomers. Suitable for serving to dogs of all sizes. Soft to chew: Puppies to senior dogs love the fresh, tail-wagging taste. Promotes muscle growth and development. Easy to digest, even for dogs with sensitive stomachs. High protein with no carbs for weight control. No additives or preservatives. Ideal for dogs with allergies!